Today we celebrate the Feast of St. Francis, and also complete our journey through the Season of Creation. St. Francis saw all of creation as our brothers and sisters. 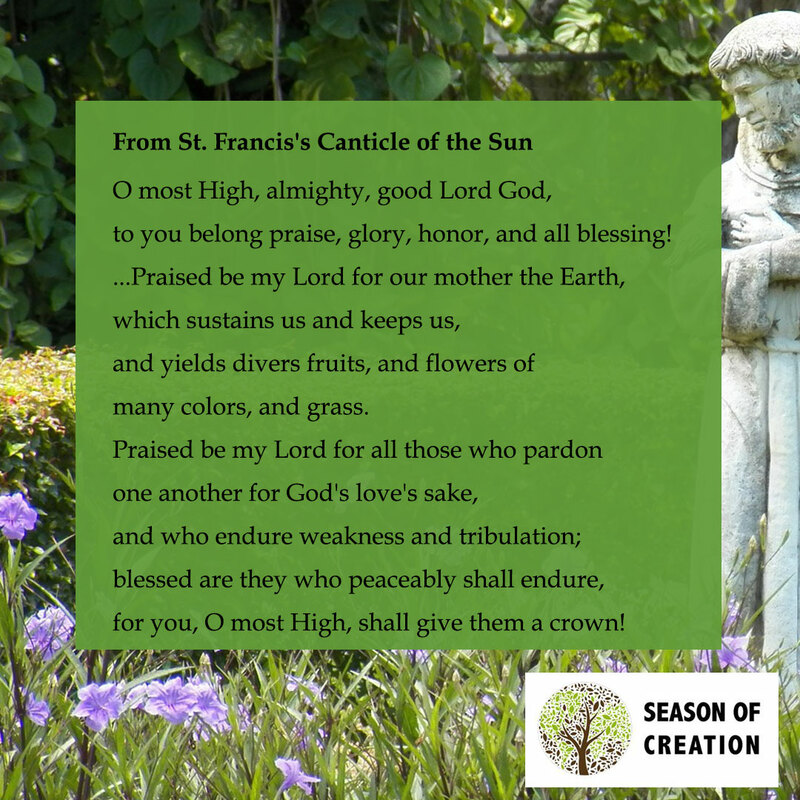 We share this prayer from St. Francis’s Canticle of the Sun, and encourage you to read the whole prayer here. Creation Sings for Joy – Season of CreationJoin us for our 30th and Final Spaghetti Dinner and Craft Sale in Wheeling!